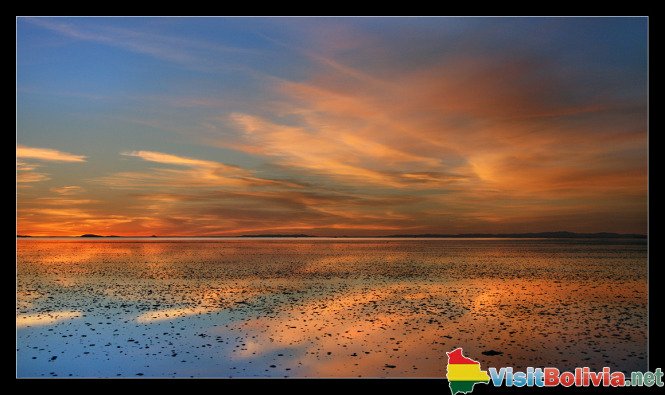 Located in the southwestern part of Bolivia, Salar de Uyuni is one of the largest salt flats in the world and one of top 10 interesting places to to visit. It occupies the area of 10,582 square kilometers. It is covered with a few meters of a salt crust. During wet seasons it becomes a salt lake with a glass-like surface. 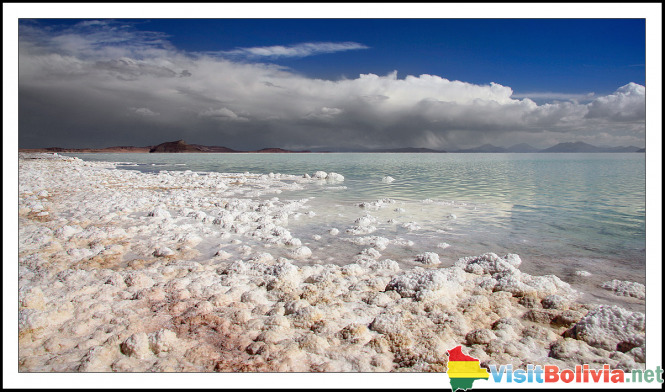 The lake was created more than 40 000 years ago being the place where the salty mineral residue was drained from the mountains. 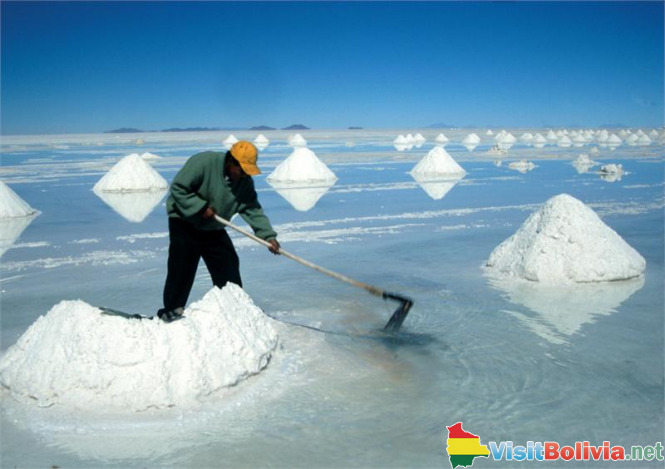 Its salt crust is between ten centimeters to several meters. In the center of the lake there are several so called islands. They appeared when Lake Minchin used to be there many years ago. They are the remains of the tops of old volcanoes. The average daytime temperature here varies from 13 °C to 21 °C from November to January. The nights are usually colder with the temperature between -10 °C to 5 °C. The rainfall is usually low especially between April and November and is about one or three millimeters; though in January it may be up to seventy millimeters. January is the rainiest month here, but usually there are less than five rainy days per month. Along the lake, there is Colchani village which makes its living from mining salt. This little settlement processed 20 000 of salt. The raw material is used mostly for commercial purposes. Most of it is marketed for human consumption. 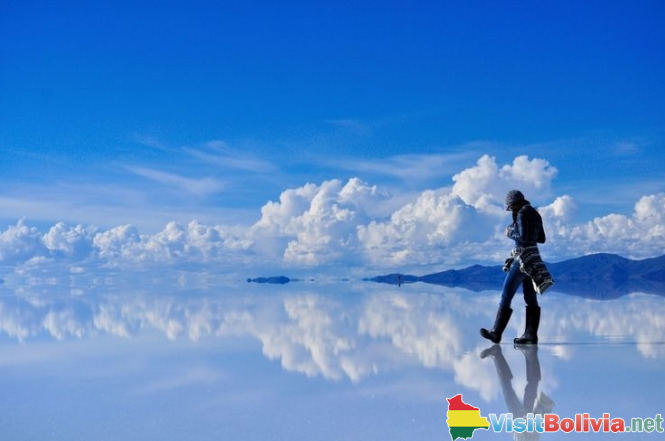 In addition to that, the salt is also carved into souvenirs and even furniture and are sold at different tourist venues in the nearest town called Uyuni. The town is famous for its street market and is a gateway for tourists visiting Salar de Uyni. 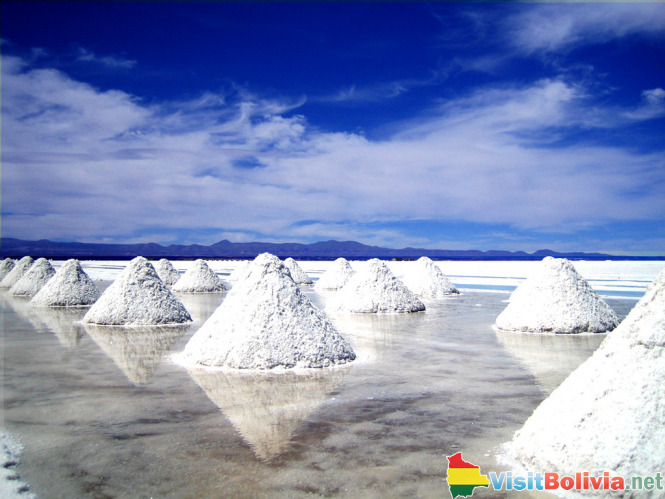 In the very heart of the lake there is one of the most unusual hotels in the world – Palacio de Sal entirely made of salt. It is one of the most unique hotels in the world. Besides there is also a 9-hole salt golf course designed by Christian Pensu. From the far it looks like a mirage floating in the middle of the lake. The place is truly unique for being absolutely silent with starry night sky and unique landscape around. Here you may enjoy the sunset spread across the horizon reflected in the glassy waters of the lake. Nowhere else will you be able to see such an amazing sunset, especially, taking into account that you are 3650 meters above sea level. There are four-wheel vehicles that transfer tourists to the hotels and other attractions across the lake.